The pair quit Ogilvy in recent months after a restructure. 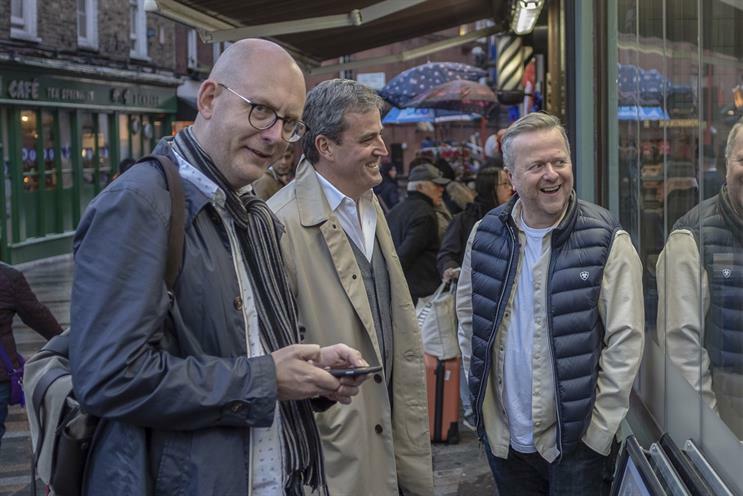 Mick Mahoney and Kevin Chesters, formerly the chief creative officer and chief strategy officer respectively at Ogilvy UK, are joining the Paul Hammersley-fronted start-up Harbour as partners. The pair will offer creative and strategic communications consultancy services to clients, and then draw on the network of independent agencies that exist within the Harbour Collective to deliver it. Mahoney and Chesters have taken equity stakes in the business. Explaining the move, Hammersley said: "There are now 10 specialist agencies in the Harbour Collective and the logical next step in our evolution is to launch a creative consultancy at the heart of our collective ‘network’ capability. Mick and Kev will enable us to deliver this brilliantly. "I have known Mick since we worked together at Lowe Howard-Spink and admired Kev from afar since his time at Wieden. As well as both having unparalleled reputations in their fields, they were the nucleus of the team that achieved unprecedented success in such a short space of time at Ogilvy." Mahoney and Chesters quit Ogilvy earlier this year following the integration of their former agency, Ogilvy & Mather, into a single cross-disciplinary organisation. Mahoney said: "We’re going through a period of accelerated change in communications right now. It’s the most exciting, fascinating and challenging time in my career. It’s going to take brilliant and brave new models and a stellar collection of people to prosper." Chesters added: "I’ve spent a lot of time with senior clients in the last few years. They really want to be having the big conversations about the biggest issues facing their business and how creativity can solve them. These are the conversations that I want to be having, too, and I can’t wait to start having them at Harbour." Hammersley, a former chief executive of DDB and Cheil, launched Harbour and the Harbour Collective last year. Its members include Goodstuff Communications, George & Dragon and Soul. Harbour: what's the real story?